Promoted team Mount Pleasant Football Academy (MPFA) of St Ann brought the house down Sunday, before a bumper crowd at Drax Hall, claiming the scalp of the beaten 2017/2018 Premier League finalists Waterhouse by one goal to nil. Kemar Beckford scored in the 23rd minute, before a crowd that football watchers say was the biggest ever seen at the venue. 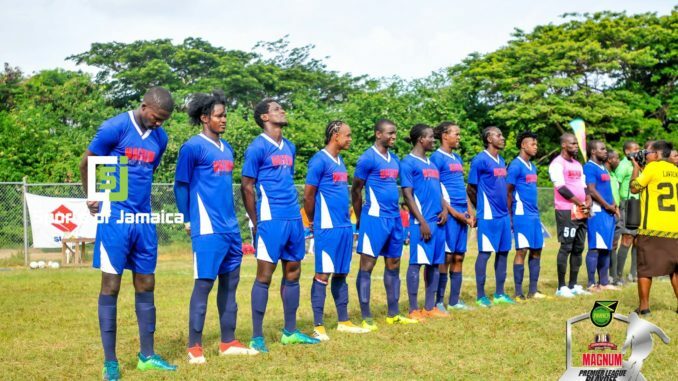 The win for MPFA came a week after they lowered the colours of the number one ranked team from last season, defending champions Portmore United at Prison Oval in Spanish Town. Sunday’s match was the first time in seven years, following Benfica’s rise and rapid decline that saw a Premier League game featuring a St Ann Ann team at Drax Hall. The thousands of fan were not disappointed as Mount Pleasant immediately took control, dominating possession. This was spearheaded by some deft runs down the left side by the wily Cordel Benbow, an immediate past player of Waterhouse. Benbow was supported by Kevaughn Isaacs and Kemar Beckford and an impregnable wall built around national defender Ladale Richie. Mount Pleasant’s dominance was rewarded in the 23rd minute when Benbow on another of his deft runs, this time down the right side, floated a cross across the box where Beckford arrived to head powerfully past Diego Haughton in goal for Waterhouse. With Mount Pleasant fully in charge, they ran the passes to the delight of their fans, starving Waterhouse who became spectators. Mount pleasant should have doubled the lead during this dominance had it not been for faulty shooting from Devon Hodges, who missed at least two point blank chances. Waterhouse had a better spell in the second half as they came out of their shell and started to penetrate through Denardo Brown and captain Keithy Simpson. 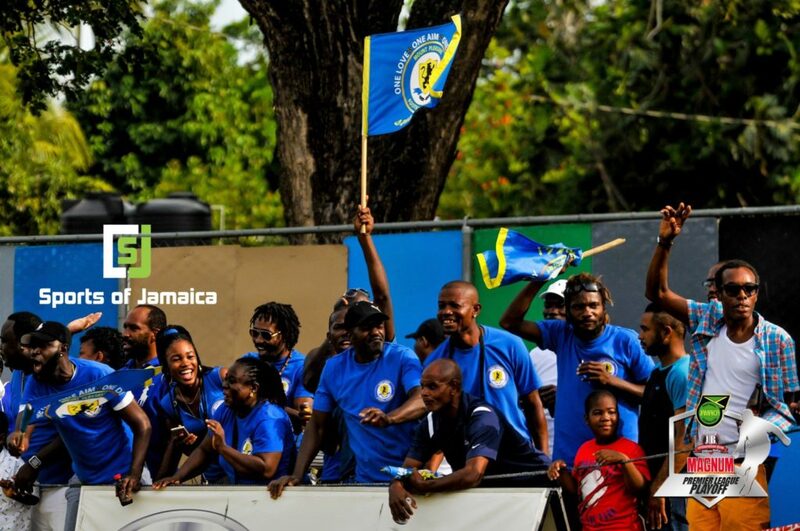 The final whistle from Referee Kevin Morrison brought another round of celebrations with the raucous fans signalling that Montego Bay next week Monday night will be the next happy hunting ground. 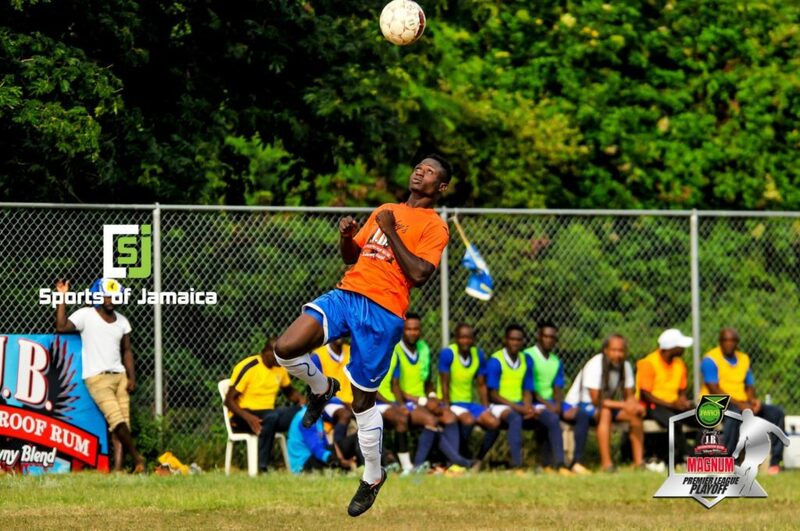 Mount Pleasant with the victory goes to 3rd on goal difference behind Cavalier and Tivoli Gardens who are also on six points following their second consecutive wins Sunday.